If you’ve taken or plan to take college courses anywhere other than The University of Alabama, you’ll need to take a few steps to transfer those credit hours into your UA records. Whether you’re a new student transferring to UA from another school, or a current UA student taking classes elsewhere temporarily, read on — and contact the A&S Student Services Center in 200 Clark Hall with any questions. Step 1. Familiarize yourself with the following terms. You’ll see them often as you read about transferring credits. Transferability refers to the conditions under which the University accepts credit from other post-secondary institutions for inclusion in the student’s record. The Office of the University Registrar is responsible for determining transferability. Equivalency entails equating transfer credit, both in hours and content, to University of Alabama coursework. All transfer coursework is processed by staff of the University registrar’s transfer equivalency office. This office may also work with staff in the various colleges for upper-level equivalencies. Applicability of credit toward a degree refers to the coursework that applies to the total minimum number of hours needed for degree completion. Reasons a course may not be applicable include (but are not limited to) a course not having a direct equivalent to a UA course, excess hours in junior college/AP/IB/duel enrollment/CLEP coursework, excess hours in activity designated coursework, or an excess number of hours in one discipline. See the University of Alabama undergraduate catalog for specific University policies and degree requirements. Step 2. Determine whether Alabama will accept credits from your institution. If you attended a fully accredited institution, your collegiate work will be considered for credit.  If you attended an institution that is not fully accredited, your collegiate work will be considered for transfer credit only when the dean of the student’s college of enrollment recommends approval. Approval must be sought by the student via written petition to the dean. If you attended a college or university outside of the United States, your collegiate work will be considered if the institution is accredited or approved by the ministry of education (or another appropriate governmental agency) in the country in which it is located. Step 3. Learn which courses will and will not transfer to UA credit. If you are transferring from another school in the state of Alabama, great news! Alabama has developed STARS, the Statewide Transfer and Articulation Reporting System, to help transfer students like yourself navigate through the transfer process. You can get started anytime at http://stars.troy.edu/stars.html. If you are transferring from a school outside of Alabama, start the process by visiting the Course Equivalence Tables. The equivalence tables will allow you to look up your previous institution’s courses and view if and how they will transfer to UA credit. Step 4. If UA does not accept your credit, don’t stress out — you can appeal. If you disagree with a transfer credit evaluation, you’ll need to submit more information about the course in question in order to initiate an appeal of the evaluation. Supporting documentation can include but is not limited to a course outline, a syllabus, or a textbook. If you disagree with an evaluation of credit from a nontraditional source, you should submit further written information about the training including number of hours of the training, information about the training source, accreditation, etc., in order to initiate an appeal. All appeals for course credit should go through the University registrar’s transfer equivalency office. Step 5. Receive credit for examinations. UA offers credit by examination and credit for several types of out-of-class experience. Credits can be earned through satisfactory completion of one of the standardized national exams including (but not limited to) the Advanced Placement (AP) program, the College Level Examination Program (CLEP), the International Baccalaureate (IB) program, the Advanced International Certificate of Education (AICE), and the Defense Activity for Nontraditional Education Support (DANTES). Scores and corresponding UA credits can be found in the section “Credit by Examination” in the undergraduate catalog. More information about transfer credits can always be found in the transfer credit area of the registrar’s website. You’re also welcome to seek advice from Nichole Evans, the University of Alabama transfer recruiter. Step 1. Get your courses approved BEFORE you take them, if possible. It might seem odd to get courses approved for credit before you’ve even taken them, but you’ll be glad you did. Not all courses taken elsewhere will translate to UA credit and even if your course does, it might translate to a course you’ve already taken. To avoid ending up with duplicate credits or no credit at all, you can check with your A&S advisor to get approval, or you can look up potential courses on the Course Equivalence Tables. Step 2. Complete a letter of transiency. Transiency is when a UA student takes courses elsewhere between UA semesters. Whether you are seeking permission to take a course at another school or attempting to get credit for a course already completed, you’ll need a letter of transiency. The letter of transiency is essentially a contract between you and the University granting you permission to take the course elsewhere. You can complete your letter of transiency by logging in to myBama, entering the student tab, and clicking on the transiency button under student services. Step 3. Send a transcript to the University of Alabama registrar’s office. For more information, watch this video or contact the UA registrar. Helpful Hint: Mind Your GPA. Your overall GPA will be affected by courses you take elsewhere but your UA GPA will not. Your major GPA might be affected depending on whether your department accepts transfer credit toward major requirements. Keep in mind that while the overall GPA is important, you must have at least a 2.0 UA GPA to graduate. We’re happy to help. Call A&S Student Services at (205) 348-5970 or stop by the office at 200 Clark Hall.